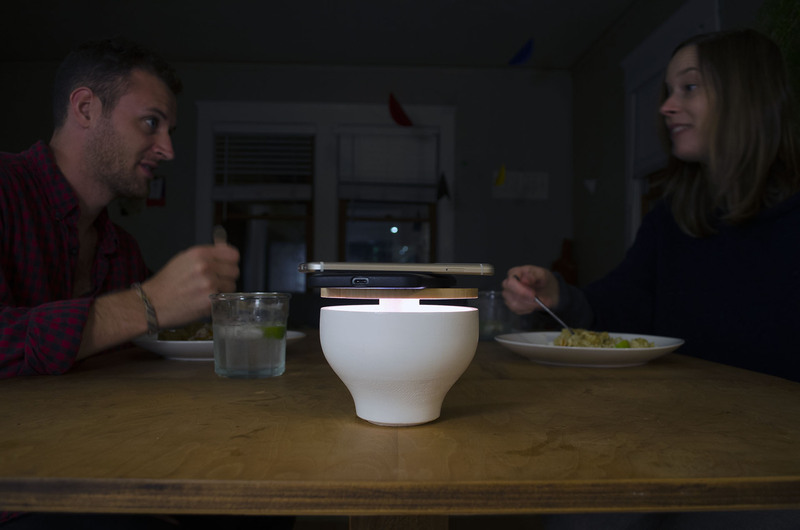 Socialight is a phone activated table lamp for digital wellbeing at home. The light only turns on when a cell phone is placed on top of it, thereby creating a sense of presence and intimacy for its users. 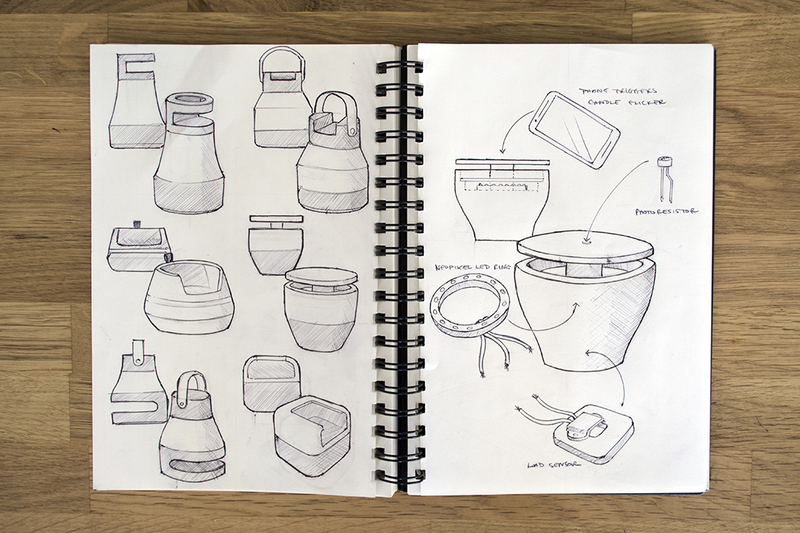 Ideation, prototyping, interaction, electronics, and product strategy. Mobile technology was designed for an “always on” user. With infinite options, it’s hard to create space for ourselves, and even more difficult to ask others for their undivided attention. 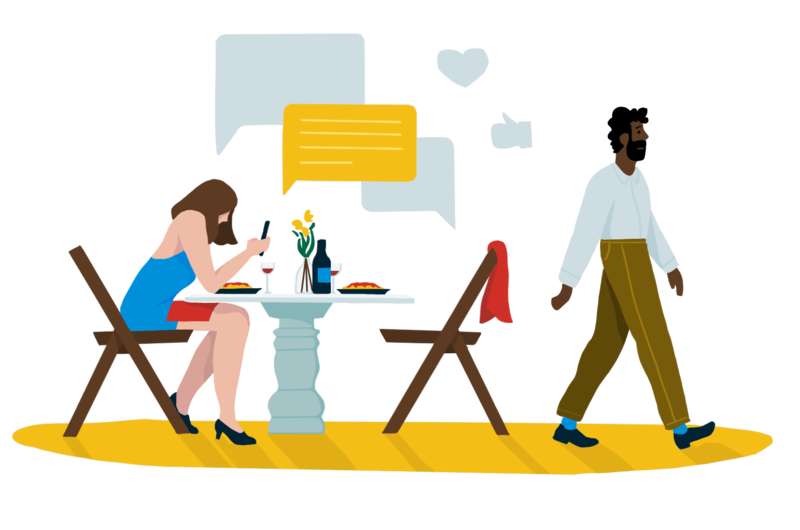 According to Sherry Turkle, author of Reclaiming Conversation: The Power of Talk in a Digital Age, “face to face conversation is where we develop the capacity for empathy, self-reflection, and a secure sense of self.” Always on, we’re connected, but not invested in others. This project addresses the encroaching issue of digital wellbeing. The objective is to create distraction free spaces for deep connection that elicit joy, not restriction. Socialight is a phone activated table lamp. 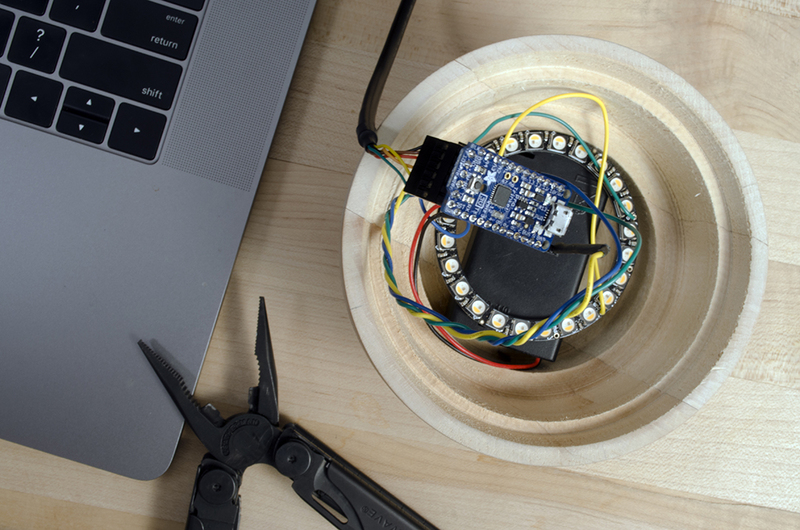 Once a phone is placed on the platform, a series of sensors work in unison to detect the device’s presence and turn on the light. When we're on our devices, we lose precious time with our kids, romantic partners and colleagues. 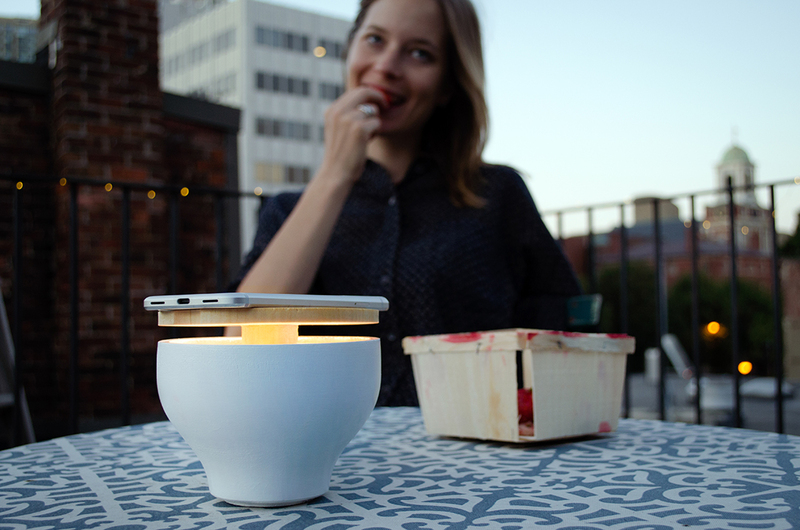 Socialight provides a pleasant ambiance for eating while forcing users to distance themselves from their phones. Socialight is inspired by phone tower, a game played by restaurant goers where phones are stacked on top of each other and the first person to grab their device has to pay for the meal. Similar to phone tower, Socialight’s consequence for removing your phone is darkness, further emphasizing the taboo. Recognizing the problem is one thing, but taking action can be difficult once the habit is engrained. We need to reconsider how we want to build our relationship with persuasive technologies. Further, we can redesign these relationships to better fit our human needs. Turkle reminds us that “Listening and talking are skills. They can be taught and relearned.” Socialight was created to nudge us in that direction. Initial form explorations sketched on paper, final form turned in balsa wood using a lathe, electronic circuitry initially tested and prototyped with arduino uno, then hardwired using an adafruit trinket. ‍Do We Really Need A Gadget To Stop Us From Using Gadgets Now?